Everything about Vellum (Premium) is very high quality. From the look of the app’s user interface to the very images it beholds. I have yet to find an image, graphic or logo that doesn’t look crisp or is not optimized. The experience is immersive and feels a lot like an OEM product. This is the highest quality wallpaper app I’ve found on the App Store. That being said, the wallpaper inventory is lacking. Sure, we have a good selection of categories to choose from, but at least half of the categories have images that sort of “repeat” themselves and look very similar and it makes them a bit boring. 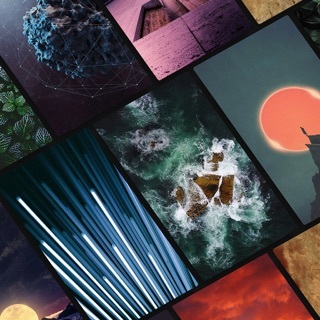 I do understand quality over quantity, but I’d like to enjoy the quality over a wider variety of wallpapers, not over 40 images of the so called “ombré effect”. Overall, this app has great potential, if I didn’t see that I wouldn’t have paid for the premium version. So please keep up the good work and use my criticism to your advantage. Thanks! Hey Stefano! This is great feedback. Thank you for taking the time to let us know your thoughts on how we can improve. I agree and think we can add more versatile and diverse packs. We will be adding more (diverse content) packs in the next couple of months with a more rapid release schedule ahead. Again, thank you so much for your kind words about Vellum, and also your thoughts on how we can improve. That is such valuable feedback! I’ve always been a big customized but typically searched and sorted my wallpapers on my own. I was recommended this app and I fell in love with it. Their awesome UI makes he think they are into the same aesthetics as I am, which gives me confidence they will have decent wallpapers, and not crappy “inspirational quotes” like a lot of the stuff you see out there. It’s hard to pay for something I know I can easily do for free (I know a lot of people don’t know how to set and save wallpapers so it makes sense) but the time and ease of use makes paying $2 worth it. Great product even in its free state. Vibrant art and design, categorized by artist. Easy to view, choose, save, change, etc. the ad free version is only $1.99 one time purchase fee. I tried five other products (all rated 4.7-4.9) and deleted all within a few minutes of testing. All had good art, but in their free form all made it incredibly difficult to test the product; all pushed very, very hard to sell relatively high priced subscriptions...I mean it’s not like there’s no free to cheap wallpaper apps available; and all continuously, incessantly pushed games to sell, as if their only customer audience for wallpaper app were kids and gamers. I love this app and am fixing to buy the premium, ad free version for $1.99, one time payment.